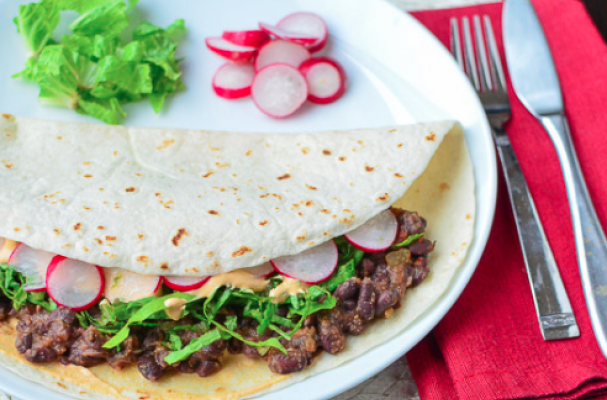 Vegan black bean tacos from Delicious Knowledge are a flavorful Mexican meal. Canned black beans are combined with fire roasted tomatoes and green chiles to make a dynamite taco filling. Since this recipe is vegan, a cashew "cheese" sauce is served with the tacos. Feel free to add your other favorite taco fillings including avocado, tomatoes, and lettuce. For full recipe instructions, click here.